NCHS Grizzlies Cross Country places top 10 in states. 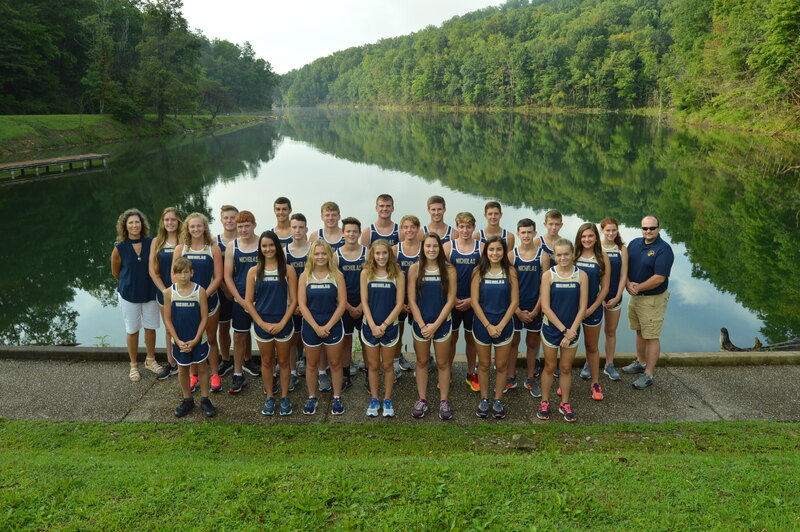 On Saturday, October 27th in Huntington, WV, NCHS XC was led by Preston Prather with a time of 18:33 and Michaela O’Dell with a time of 21:56. “I was definitely proud of the team’s performance. They all got new personal records,” said Head Coach Jennifer Gatewood. The boys places 6th and the girls placed 8th in states among 44 region AA teams. Nicholas County Cross Country sweeps the region and moves on to states. The NCHS Grizzlies XC team was led by Preston Prather and Michaela O’Dell to a conference win on October 11, 2018. “I was very excited, I had a lot of confidence in the team,” said head coach Jennifer Gatewood. Gatewood has been the coach for the last 2 years. She believes her team gets better every meet. “We get better every week, so I’m really excited for regionals,” said Mrs. Gatewood. The boys placed 1st in the region and in class AA. The girls placed 2nd in the region and 1st in class AA. NCHS XC team heads to Huntington, WV for states this Saturday, October 27th.